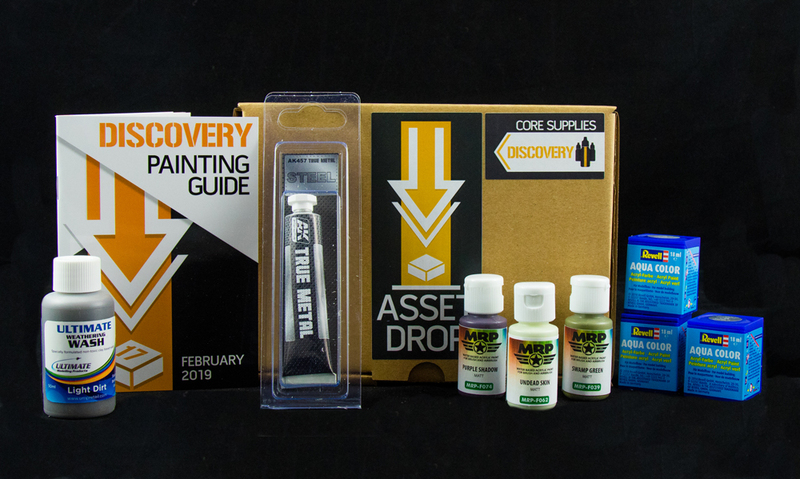 February's Discovery Box features a whole host of fun paints to try out and tutorials to follow in our exclusive Painting Guide! Starting with a zombie flesh trio from MR.PAINT, a paint brand from Slovakia in Europe. They have a large selection of paints dedicated to miniature painting, and we picked three colours perfect for painting zombies. 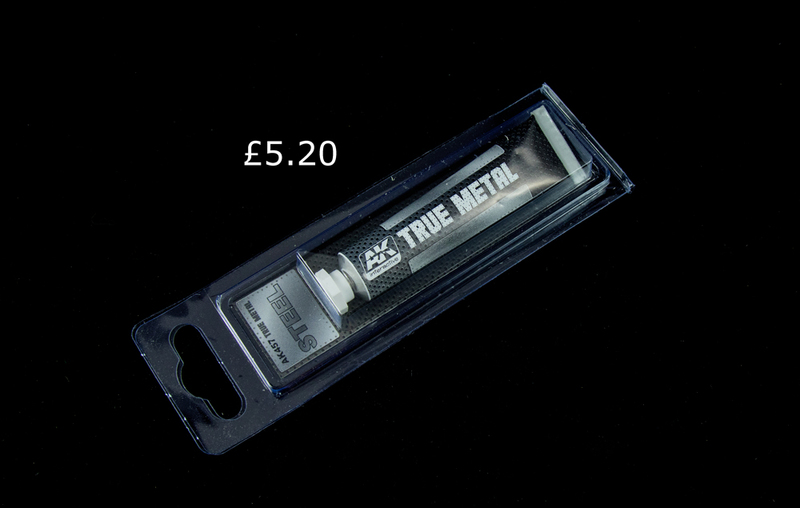 You'll also find a True Metal paint from AK Interactive - this unusual metallic gives a highly realistic effect through the act of polishing the metal once you've painted it! We also included a brand new paint manufacturer in the Discovery Box - Ultimate Modelling Products. 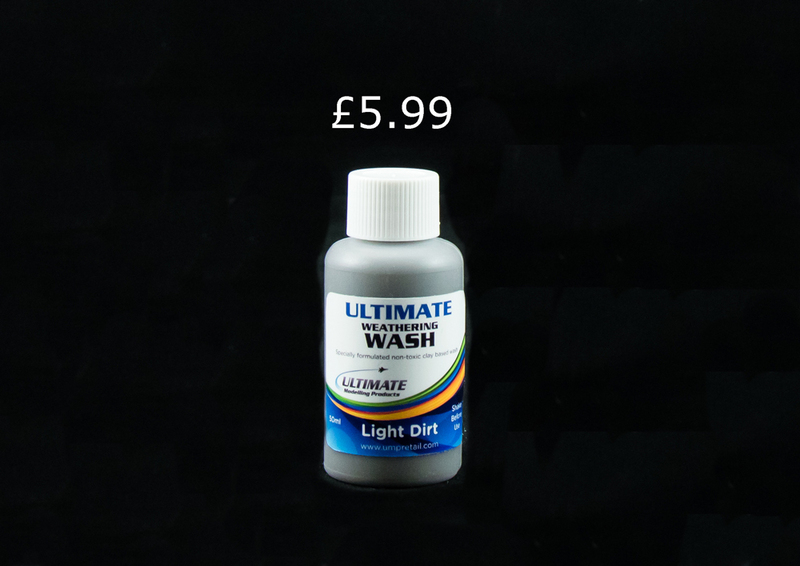 This UK brand has a fantastic range of their own hobby items, including their series of Ultimate Washes. We chose the Light Dirt Wash for February's box. 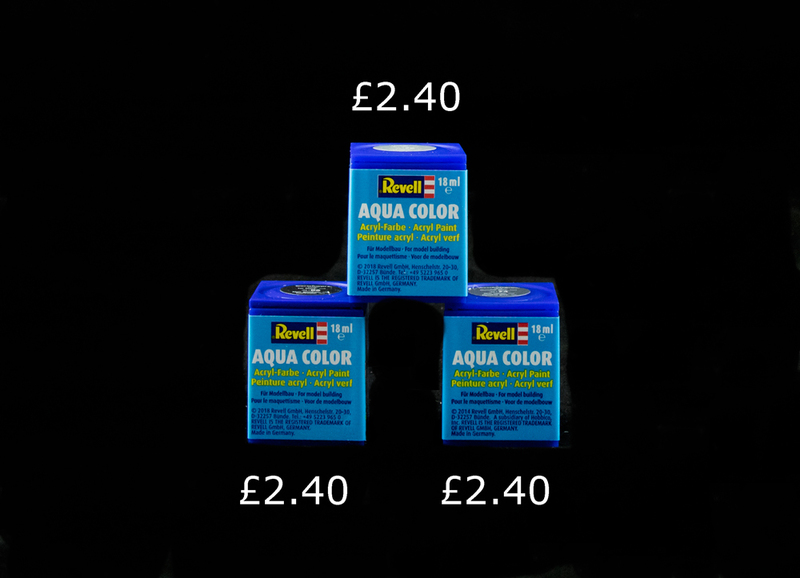 Finally, we featured a trio of paints from Revell Aqua Color, an often over-looked brand associated with scale modelling. Their paints are highly affordable and very good quality, having lots of colour options. We went with a dark grey trio, perfect for painting blacks and included a tutorial in the Painting Guide on painting a black armour effect. If you like the sound of February's box, why not enjoy the surprise of receiving a box like this on your doorstep every month, and sign up to the Discovery box here. 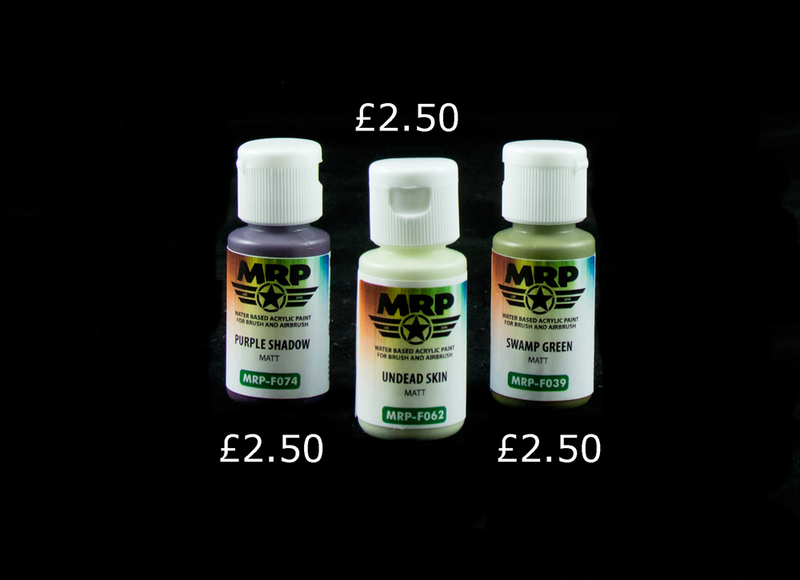 MR.PAINT are a popular modelling company from Slovakia with a wide range of both military and fantasy paints on offer. We chose to feature three of their fantasy paints, which are ideal for painting traditional zombie flesh! 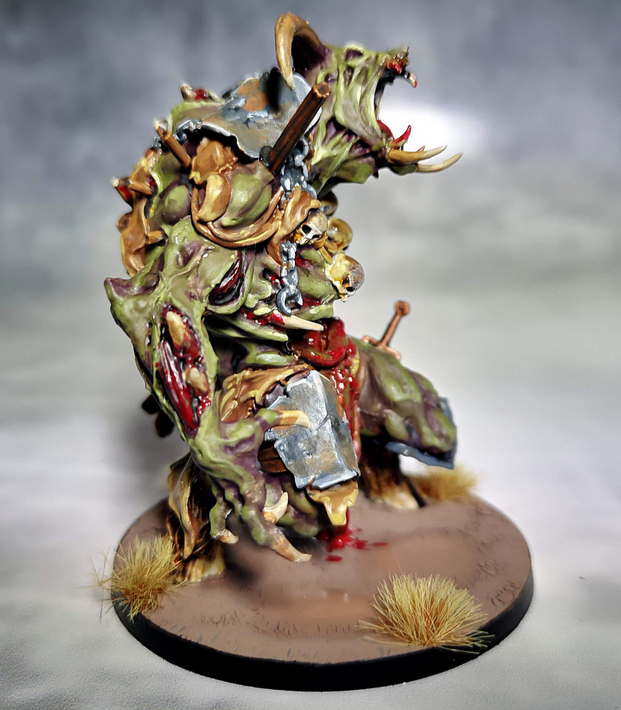 The Purple Shadow works as the bruising beneath the damaged skin, and the two greens are great for a rotting flesh look. The paints are also really great quality and come in fantastic dropper bottles; what’s not to love? 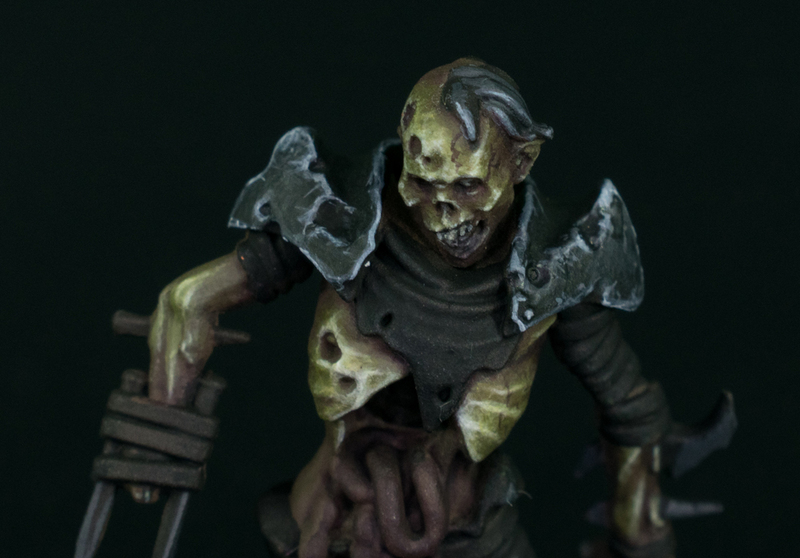 Check out the zombie below painted by one of our subscribers using this trio! 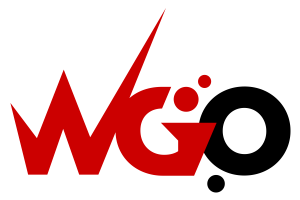 AK Interactive was established in 2009, and although they are newer to the scene than some of the older scale model companies (like Revell), they have risen to dominance among modern scale modellers, producing highly realistic diorama products and paints, whilst continuing to innovate. A big aim of AK Interactive, much like Asset Drop, is education. Sharing their knowledge and passion for the hobby with more people through their publications, which we highly recommend. Although the books are focused on scale models rather than wargaming, there are many applicable techniques. Many of their products also work wonderfully for fantasy and sci-fi miniatures too, especially their incredible True Metal range, which create some of the most beautiful metallics I’ve ever seen! UMP produce some fantastic products, with their series of Weathering Washes being one of the best. I’m a big fan of washes that can be used to weather miniatures because it makes the application so much easier and quicker. This product is especially great because you can add an extra dimension to the appearance of the effect by wiping it away, leaving the wash only in the cracks & crevices. The washes come in 8 different colours, and we chose Light Dirt because it’s an excellent colour that works in many different circumstances, from vehicles to terrain to a miniature’s armour, cloak, shield, etc! Ultimate Modelling Products is a UK-based company established in 2013 for the modern scale modeller, and as well as their washes & sanders, they also have their very own airbrush brand - APEX Airbrushes! Blood Bowl Zombie painted using the Revell Aqua Color paints and MR.PAINT trio.